WOW oh WOW there is a lot going on this weekend....busy busy day for High Fives. I have had a different week. Low energy and low motivation. You all know Negative Nancy well her best pal Polly Pessimism is my visitor this week. (You can often find the two friends sipping Earl Grey Tea and analyzing the works of Edgar Allen Poe.) I am hoping to snap out of it with a self-race 15K tomorrow. You know what ALWAYS makes me feel better when I am a little down....spreading the LOVE.. HIGH FIVE!! HIGH Five- Happy Birthday this week! 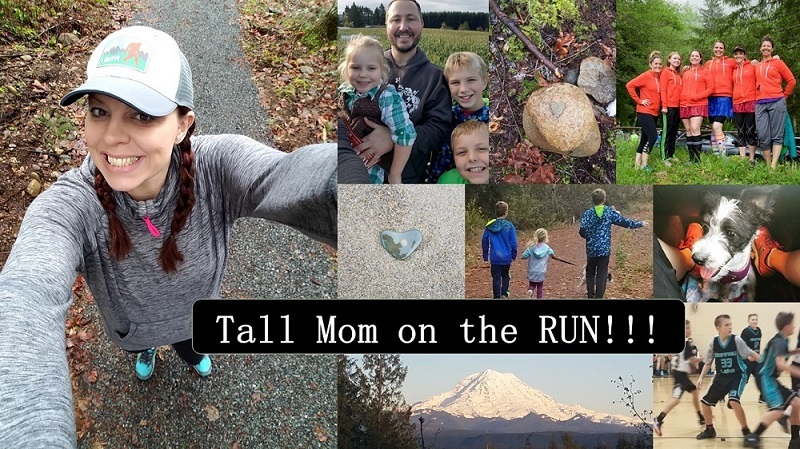 Morgan- 10/15- Make sure to read her 1st Marathon Report! thanks for the high five and one right back at you for your high five fridays! Next Week - 10/24 is my very first half marathon!!!!!!!!!!!!!! Yippie! I have a race this weekend too - the South Mountain Classic 20k - it has mountainous hills!! Thank you for the High-Five! Very much appreciated. How on earth do you keep track of everybody? I do have a half this weekend. :o) GOod luck to everyoen racing! 15k..... My ipod died this morning... cant get it to turn on or to charge... ugh... 2 days before the marathon... annoying. I think I will run to wally world and pick up a new shuffle. I love the shuffle cause I don't care to have an arm strap which you need with the bigger ipods. Thanks for the birthday wishes here and on my blog! You are so thoughtful!! I don't know how you keep track of it all. Hope your Friday gets happier, and enjoy every minute of your self-race! i went over to high five robin--- found someone else in my race! love how you do high fives!!!!!!!!!!!!!!!!!!!!!! AHHHHHHHH I'M SOOO NERVOUSSSSS. heheh. Good luck to all the new marathoners. How exciting. I hope Ms. Pessimism takes a vacation for ya mel. High 5 everyone! Lots of first marathons this weekend! GL to everyone. Thanks for the High Five! It totally made my day. I feel so disconnected from my bloggy world, now that blogger is blocked at my work. I don't know if I need luck or prayers at this point! Good luck to all those who are running their first marathon!! I can't wait to read your reports.. My first is still 2 months away! Every week, more and more high fives. Awesome!!!! Hey Buddy!! Thanks for the Birthday love! :) And thanks for the heads up. I had a BUSY day yesterday getting ready for the weekend and couldn't check up on any blogs. :( Will be catching up over the weekend. i'm super excited and loving spreading the good vibes and good lucks and excitement with everyone here! slightly nervous for 26.2, but that's the usual. Why in the Monkey do I think that? Could Tall Mom be a Bandit? Fleet Feet Bonney Lake Half Off! !